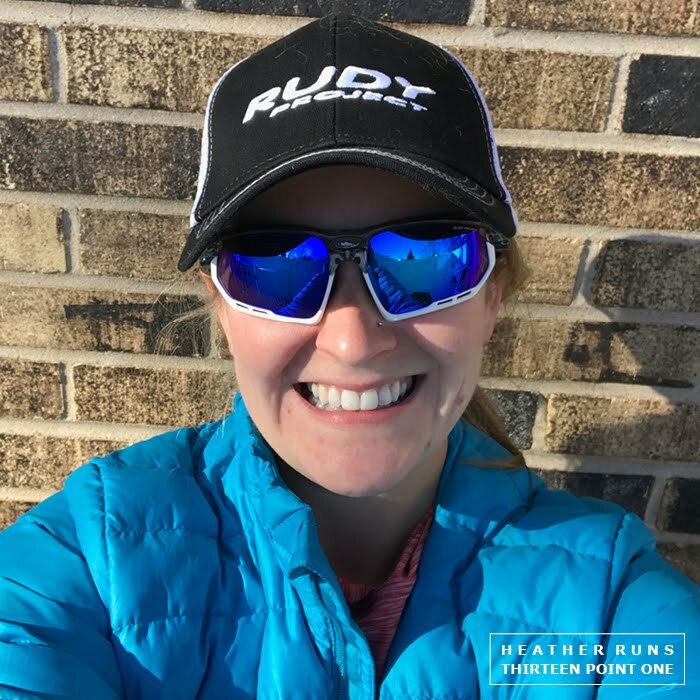 Disclaimer: I received the Rudy Project Fotonyk Sunglasses to review as part of being a BibRave Pro. Learn more about becoming a BibRave Pro (ambassador), and check out BibRave.com to review find and write race reviews! I think after all this time, if you happen to be an avid follower/reader of my blog, you know how much I LOVE and NEED sunglasses. Even on cloudy days. I have very sensitive eyes and without sunglasses (and usually a hat or visor), I end up squinting a ton which leads to a major headache (and crows feet). Also my eye doctor always reminds me to wear sunglasses or a hat when I'm outside due to my astigmatism (I think that's why she reminds me, anyway - not that I need reminding since I know my eyes are so sensitive). but while sleeping I got an email it was cancelled. Anyway, so I love having different styles of sunglasses so it's not always the same thing day after day in all of those photos I post online haha. 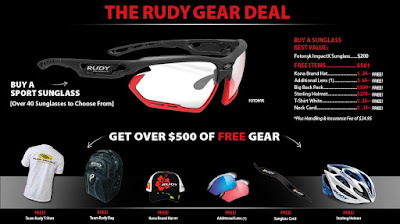 The Rudy Project Fotonyk have a ton of frame colors, lense colors, and bumper colors to choose from. I requested the crystal graphite/white with multilaser blue lenses, though also really liked the yellow fluo/black with multilaser orange lenses. They also have photochromic to black lenses (so they transition in different lightning – I know a ton of runners that love this option, and wondered if maybe I should have gone that route too hah). You can even purchase different number colors to swap with whatever frame/lense color you chose, or buy different colored lenses. AND you can get them with prescription lenses. Score. I was hoping to have them to bring to Mexico with me, but they came during the end of the week when I was gone (delivered Thursday I think and I got home late Friday night). Unfortunately for me, I immediately fell ill when I returned home with a nasty sinus infection. I tend to get them 1–2 times a year, and when they hit they HIT HARD. I had been able to keep them at bay most of the year (and for the marathon which was my main concern). I was so weak and sick I was basically bed ridden for 1.5 weeks, and even now, about 3 weeks later, I still have a cough that makes running too difficult. Impossible not to have dog hair on everything haha. Walking on a sunny, cold day. I did have the chance to take them out for some walks and errands, and the first thing I noticed is hot lightweight they are. After a few minutes I forget I'm even wearing them. That's a big deal for me - I don't want to be bothered by the feeling of wearing sunglasses (they can be tight on the head sometimes which can lead to its own headache). They are extremely comfortable. The nose pads are also adjustable, so you can fit them how you like. The lenses have good coverage, so keeps out the sun well. 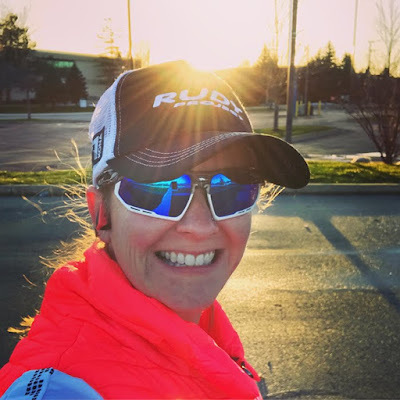 Testing out my new 2XU vest and sunglasses on a crazy windy day. I had had in a while. Felt great after eating all the junk food the past few days. They were very comfortable with my headphones too, which is a bonus because I need my music when I'm out walking or running haha. I use Aftershokz Trekz Titanium, which go over the ear, so I need sunglasses that will sit on top of those comfortably. These passed the test. The bumpers were great for keeping the wind and dust out of my eyes on the super windy days. I wore them for a walk when the winds were at 25MPH. 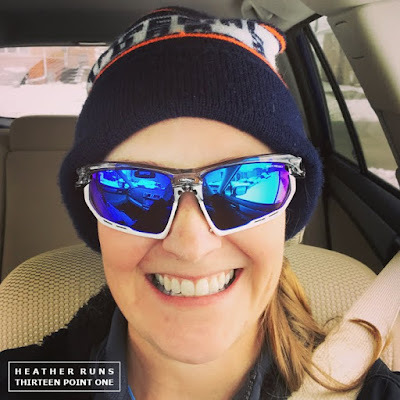 Usually with that kind of wind my eyes would get teary and often get some kind of dirt or dust in there, which never helps with seeing and can be painful with contacts, but these kept my eyes dry and pain free. And if you decide the bumpers aren't for you, or if you only need them on once in a while, you can easily remove them. The DBL (distance to lenses) is 17, eye size 66, temple 131, and weight of .97oz, and they are a medium face. They also come with a fabric case to protect the lenses (thank you - I'm a throw in a bag kind of person and often end up with scratched lenses, so a lense protector is awesome to have). Two years of intense research and countless hours of design have culminated in Rudy Project's latest performance sunglasses: the Fotonyk. Featuring an all new 'Lens Bumper' system, the Fotonyk provides enhanced protection to the face during falls or impacts, all while offering a customizable look. The bumpers, which are available in an array of colors, can even be removed to create a half-rim lens with an unobstructed view. In addition to this new technology, air channels are strategically placed at the top of the lens so users can easily manage internal airflow and mitigate fog. The fully adjustable ErgonoseX nosepiece and variety of interchangeable lenses, including the unbreakable and photochromic ImpactX lens, make the Fotonyk an individualized gear piece specific to the wearer's unique style and face shape. The Fotonyk is also available with high-tech prescription solutions such as the brand new Optical Dock, capable of high strength corrections in a sturdy removable platform. 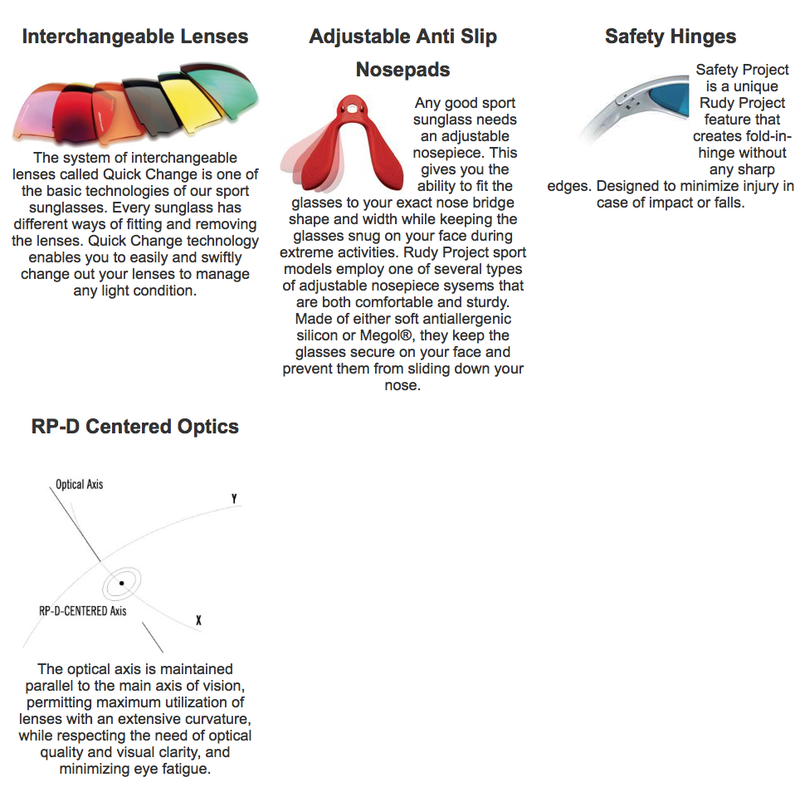 The system of interchangeable lenses called Quick Change is one of the basic technologies of our sport sunglasses. Every sunglass has different ways of fitting and removing the lenses. 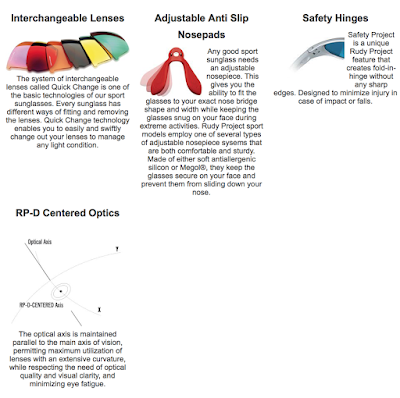 Quick Change technology enables you to easily and swiftly change out your lenses to manage any light condition. Any good sport sunglass needs an adjustable nosepiece. 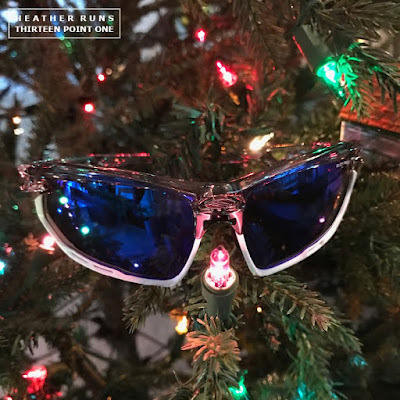 This gives you the ability to fit the glasses to your exact nose bridge shape and width while keeping the glasses snug on your face during extreme activities. 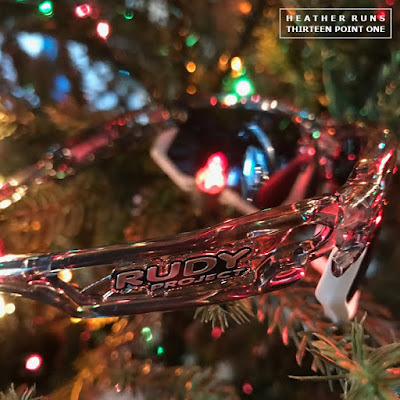 Rudy Project sport models employ one of several types of adjustable nosepiece sysems that are both comfortable and sturdy. Made of either soft antiallergenic silicon or Megol®, they keep the glasses secure on your face and prevent them from sliding down your nose. Price for Fotonyk ranges from $149.99–$199.99. Spare lenses range from $64.99–$104.99. Bumper kit is $9.99. RX Optical Dock Fotonyk are $79.99. 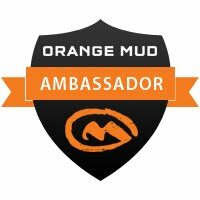 They often have great deals and sales, so if you are interested in getting these, I'd reccomend signing up for their newsletter and to keep an eye on their website. 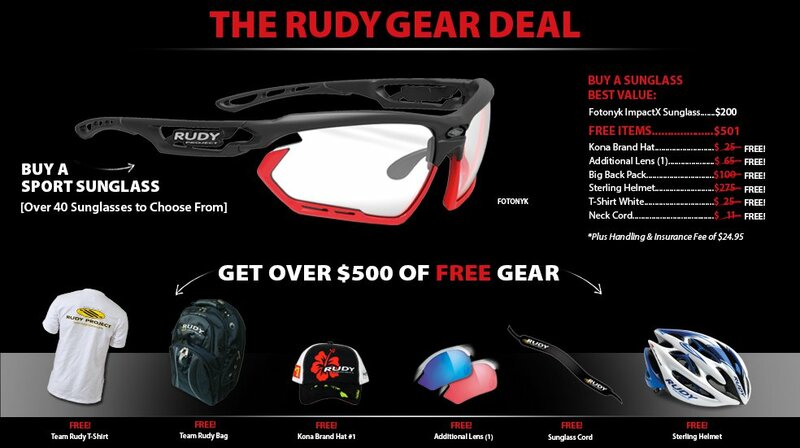 I know currently you get a free Rudy hat with any order for $75 and there's also a deal where you when you buy a pair of sports sunglasses (Fotonyk included in the list of sunglasses to choose from for this deal) you get a TON of free items worth $500+. When you choose your sunglasses, you then choose your free items from 6 different categories. It's a really sweet deal. Free items include a hat, additional lenses, back pack, Sterling Helmet, t-shirt, and neck cord (+handling & insurance fee of $24.95). I would definitely recommend the Rudy Project Fotonyk to anyone looking for a great pair of sunglasses that include adjustable nosepiece, interchangeable lenses, photochromic lense options, RX options, and easy to remove bumpers. 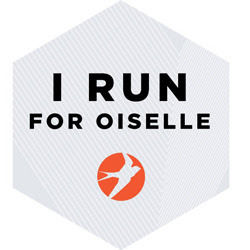 Once I'm back to running (hopefully this week), I'll edit my post to talk about how they are when running (though I doubt much will change - I'm sure it'll be more spewing of my love for them haha). 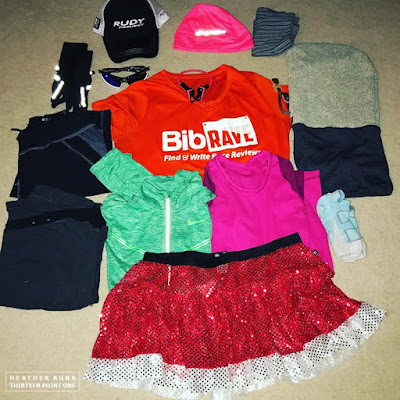 Angie and Mark both tested them in the Midwest winter, so you can check out their reviews if you have some harsh winter conditions to run in as well. Just about any pair of sunglasses will fog up in extremely cold conditions, especially if you happen to use BUFF® to protect your face - the air just goes into the lenses and doesn't give them enough air to stay fog-free, however, if you don't use a BUFF® and remove the bumpers, it allows more air flow and can help with that problem. Just a suggestion if you are having fogging issues. I haven't had that problem yet, but again, I haven't had a chance to get out with them too much yet, and definitely not on the freezing days.